MTG’s sale of its 95% shareholding in Bulgaria’s Nova Broadcasting Group to Advance Media Group has received regulatory approval and is expected to close in April 2019. The deal values Nova at €185 million (SEK 1,917 million) and will produce a net capital gain of approximately SEK 1,300 million. 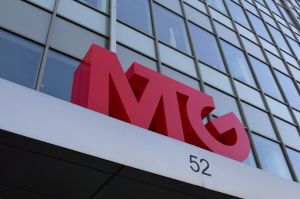 MTG said it will use the sale proceeds to develop its digital entertainment verticals through organic investment and mergers and acquisitions. Nova comprises seven TV channels and complementary online businesses that reach 74% of the Bulgarian population on average each month. The company generated SEK 1,154 million in sales and SEK 223 million in operating income (EBIT) for the full year 2018, and employs 650 people. “We are very pleased that regulatory approval has been granted for this deal with Advance Media Group and we look forward to close it as soon as possible,” said MTG president and CEO, Jørgen Madsen Lindemann. MTG announced at the start of the year that it had entered discussions with other potential buyers for Nova Broadcasting Group, after Bulgaria’s competition regulator blocked the planned sale of the company to PPF Group last year. MTG first entered Bulgaria in 2007 by investing in Balkan Media Group Limited, and then acquired Nova in 2008 before merging the two businesses in 2009. The Advance Media Group deal was agreed in February. The Nova deal is the latest in a string of divestments by MTG in the traditional TV space. In early 2018 MTG agreed to sell its 75% stake in youth broadcaster Trace in a deal that valued 100% of the business at €40 million. In 2017 it also sold its Czech TV assets for €116 million and its Baltic broadcasting business for €100 million.